The NaturePlus Forums will be offline from mid August 2018. The content has been saved and it will always be possible to see and refer to archived posts, but not to post new items. This decision has been made in light of technical problems with the forum, which cannot be fixed or upgraded. It's just one week to go until our Extinction exhibition opens. As I write, installers and designers are frantically putting the finishing touches to the displays, visuals and lighting in time for its unveiling to the public on 8 February. The exhibition's tiger display - in the process of being installed - is sure to be one of the main attractions in our Extinction: Not the End of the World? exhibition opening in the Museum's Jerwood Gallery on Friday 8 February. It's full steam ahead,' says Alex Fairhead, the exhibition's developer, who is very excited about the new slant this show will put on the subject of extinction. Just why did the dodo die out, but not the leatherback turtle? 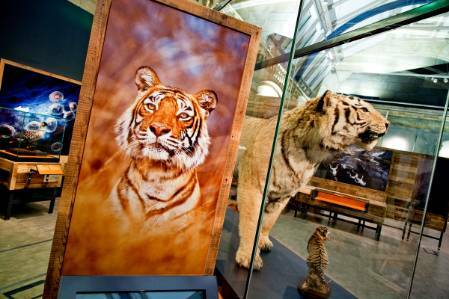 This and many crucial life-and-death conundrums will be explored in our Extinction exhibition. 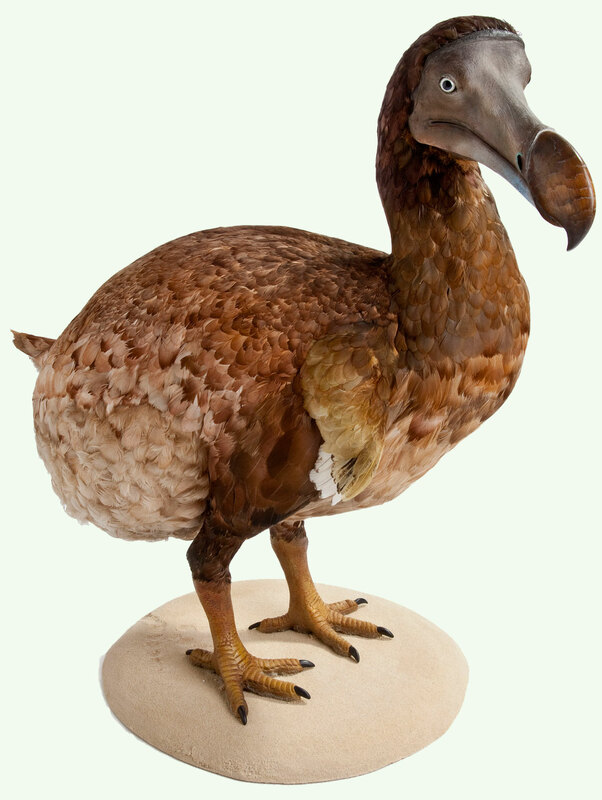 This new dodo reconstruction has been made especially for the exhibition based on current scientific research. 'Understanding extinction underpins all of the scientific work of the curators and researchers at the Natural History Museum and is crucial to discovering more about the evolution of animals and the natural world.' said Alex. 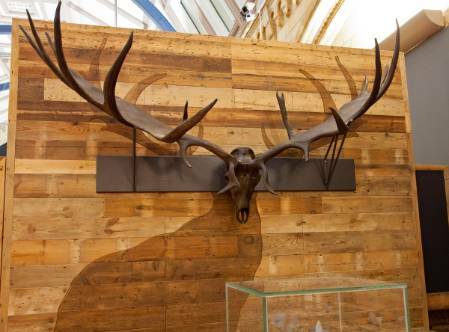 Rustic wood reclaimed from a 150-year-old cotton mill is the fitting theme of the exhibition's design. From the gigantic skull of Chasmosaurus belli - one of the last land-dwelling dinosaurs to become extinct - that greets you at the gallery entrance, the new scientifically-accurate dodo, the awesome tiger, giant elk antlers, to the cool interactive 3-console Extinction game and more, this is an exhibition not to be missed by those who care about the natural world. Happy 207th birthday Sir Richard Owen. Where would we be without you? Fifty shades of WPY: which one's your winner?